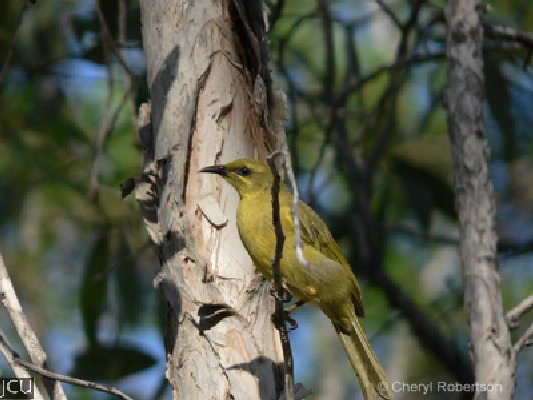 This yellow honeyeater can be found around gardens where there are nectariferous flowers. Distinguished by body colour and thin white line through eyes. Legs and feet grey, eyes brown, bill dark grey.